What’s included in the attribution model? Only 8% of advertisers factor in viewability. Campaign management – tag management systems, ad servers, ad view-ability measurement. Consultants – agencies and management companies who interpret and manage this data effectively. Mobile came sooner than anticipated by most. It breaks the tracking continuums thus making it difficult or advertisers to accurately report user behaviour. Companies are used to last click models and find it hard to move away from the internal systems that support this. Companies are forced to build a business case to showcase the reason behind moving to a different model all together. Companies struggle with fitting the advanced tracking technologies with older internal technology integrations. The change is accepted and needed, but time and cost for technical transition remains a barrier. Companies need to understand that in order to remain competitive this change is inevitable. Gradual analysis per channel is the way most companies are dealing with this. There seems to be a disconnect between theory and effective execution and real life comprehension of data. Affiliates have to prove their value which could make them earn less, but on the flip side, if they can prove their value, then they can earn more. Unless you’re accurately testing the data and understanding it correctly, you’re taking a gut feeling guess from one channel and putting it into another channel. With the time commitment to proper attribution tracking, the guess work is removed and true ROI realized. More effort needs to be put into AB testing affiliate sites and advertiser landing pages and campaigns. Companies need to consider the differences in tracking mechanisms, such as the accuracy of cookie tracking, and what alternatives need to be considered. Mobile tracking and desktop tracking are VERY different from each other and we need to consider the behavioural and technological changes to accurately track new buyer behaviour. Even though both advertisers and publishers would benefit from transparency around attribution data, both affiliates and merchants tend to keep the information to themselves. This mindset will eventually need to shift if the affiliate industry is going to be successful long term. How do we bring offline data into the mix? This is an ongoing challenge people are still trying to understand industry wide. What are your thoughts on attribution tracking and affiliate/merchant participation in data sharing? At the HasOffers Postback event held in Seattle this week, Fred Shu of Manage.com, Paul Cushman of Drawbridge, Hanno Fichtner of Applift, Paul Longhenry of Tapjoy and David Diaz of SponsorPay speak on the evolution of the mobile ad network. The panel covered where the market was in the mobile ad network space a year ago and where they are today. Here are my key take-aways from this discussion. A year ago bundling was the biggest thing in mobile, specifically in gaming, and this year “gifting” is the hottest thing. This has been beneficial because the user doesn’t feel they are being disturbed, they feel it’s just part of the game. Banner ads don’t really work (as multiple people have said), so more creativity is seen right now in full screen formats of marketing. Get rid of 350 x 250 banners and focus on 320 x 480 and other “mobile” friendly, larger sized banners that impact a larger part of the screen. These still have up to a 21% conversion. The use of bots has decreased significantly and competition has increased exponentially across the board. Segmented targeting is becoming more prominent. Anything that has ROI positive campaigns is what people are focused on, which right now seems to be happening most in androids. If you’re a seller that has a low CPI (Cost per Install), be careful with expectations because you will not likely get a high amount of installs. Pay per Engagement (PPX) models are now becoming more common and creating a new level of interest with publishers which are creating more success than seen in the past. When it comes to retargeting, start with your homepage and understand and test it. Then work your way through your site systematically to measure the success of each page. Whatever works best after testing each systematically, run with. Then test more. Target and test segmented users regularly to understand their lifetime value and true loyalty. Then segment those groups more. Anyone who’s not focused on data is going in the wrong direction. Twitter is staring to move into the field – social media is getting very active in mobile. Facebook announced about 50% of their profits came from mobile / app revenue. Social data is huge and entirely relevant to mobile. Social graphs in apps are useful. Use app cross promotions and “refer a friend” models for mobile app development and growth. More large brands are going to spending more money on mobile and SMS such as American Idol Texting and Apps for voting to drive more sales and consumer engagements now that proven models have been made. Anyone who’s focused on targeting with rewards (driving a person to a point of sale experience and offer them an incentive or reward) has tons of opportunity right now. More apps are starting to deep-link into the app directly, which is becoming more common especially with big brands. “Lookback” windows are generally 48 hours to 30 days. The majority of engagements happen within those windows. At the HasOffers Postback event, mobile and attribution leaders gather to discuss the future of mobile performance marketing. On the panel is Cameron Stweard of HasOffers, Mattias Lesch of CROBO, Edan Portaro of USamp, John Cosgrove of Tapit, Florian Lehwarld of KissMyAds and Pepe Agell of Chartboost. The questions asked are around how customers, publishers and networks are responding to the changes and advances in the mobile space. Publishers have become a lot more transparent these days, and they are more about adding true value then they have in the past. They have become more data savvy. Starting to learn which countries monetize the best and work with publishers within those countries to optimize campaigns even more. Deferred traffic is one of the payment models used to reward publishers (affiliates) which has led to more successful programs long term. It’s important to understand how things are performing on your own platform. You should know and understand all your own numbers before trying to understand someone else’s. Rate your traffic sources and classify them based on their value score that you create. Know where mobile publishers are running their ads and how they are driving traffic. There should be a level of expected transparency that helps make better business decisions and attribution value. The main KPI is revenues, for both sides (publisher or advertisor), and in many cases CPM / CPI are the most important metrics to track in order to fully understand progress and success. Measuring impression, clicks and installs is essential to success. Transparency is important to understand traffic sources so better economic models can be run. We rely on our platforms to report accurately on those metrics so we can make smarter decisions for our business and program growth. People can either become overwhelmed by data or take it and use it by breaking it down. Use data as a resource tool to keep your publishers happy while growth for your programs healthily. Relationships are some of the most important parts of our business, even on the mobile side, and it’s what fosters transparency which leads to more success. The Publishers are the creative guys, so let them be creative and drive traffic and measure as best you can. They are the ones who can often reach targeted audiences others cannot. Mobile banners don’t seem to convert very well for many. Mobile publishers seem to have more success from a variety of means. Since they are able to drive better engagement and more conversions and because it’s performance based, working with mobile publishers is extremely low cost and low risk. Transparency is good, but at the end of the day it comes down to “is the campaign working.” Again – revenue / profits are and should always be your main KPI. There are some more advanced publishers who use tracking platforms for re-engagement campaigns. The most common tracking model for mobile is CPC (Cost per Click) and CPI (Cost per Install). What networks are doing to prevent fraud is still very limited, though they are always on the lookout for it and always trying to find ways to test and help prevent it. It’s still very young and solutions are still being created and improved every day. It’s not always black and white for fraud – sometimes transparency, tools or technologies are just not there to measure it or understand it accurately. The good news is you have the control to block and stop anything you need to when it feels right for you. Both publishers and advertisers can stop campaigns if it’s not working for them. But it’s essential to test, measure and track to truly understand performance before deciding a campaign is working or not. 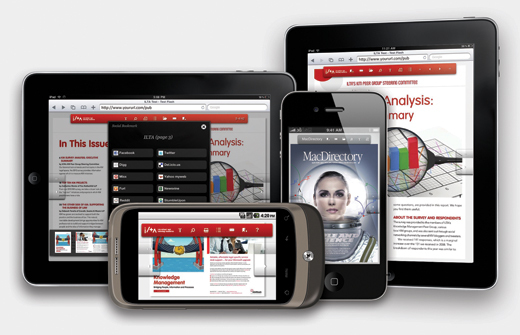 What have your experiences been working with or as a mobile publisher? A “Tag” is a javascrip code that allows you to integrate third party serves into your digital platform. Tag Management allows the marketer to manage a tagging platform without having to go to IT. Check out Tealium Tag Management Platform. Bonus One: Actionable Data Source! (The quest for clean actionable data) – DoubleClick, Omniture, Linkshare, ExactTarget, Fetchback, Etc. An integrated marketing suite. That’s what they are. They are an affiliate marketing platform, tag management system, media measurement tool, pay per call solution and much much more. Why is this important to internet retailers? Because with their system you can make and save more money. Here are 5 cool features Impact Radius has to offer. The tagging system then calculates all your costs and ROI metrics in one place, plus it’s more accurate than Google analytics by correcting the discrepancies between marketing channels reported in analytics. It’s best to use both. Google analytics can’t capture the level and depth in accuracy that Impact Radius can. For example, analytics do not have rules that match up with your program terms in your affiliates program (ex. 30 day cookie period) and consequently do not accurately credit the affiliate channel, but can help give the user a better understanding of on site issues Impact Radius can’t. Impact Radius STARTS with accurate data tracking. They do not replace analytics, but they give you a stronger idea of how your marketing channels work outside of your website performance. You can set up rules within the platform specific to each channel, such as “I want to track click throughs with a 14 day window from this source”. Merchants can credit affiliates properly based on rules set in the platform. This means you can create a system that says “if these two things happen, affiliate X gets paid” or “if these two things happen, I know to credit it to my re-targeting ads” or email campaigns, or SEO efforts and so on. Analytics alone is not able to understand that. This means, Impact Radius is all about successful attribution tracking down to every dollar spent. Impact Radius offers a lower cost tracking solution than most of the affiliate networks out there including CJ, Linkshare or Google Affiliate Network. For example, if you are paying out $100,000 per month in affiliate commissions, your network could be adding an additional 30% ($30,000) fee. Tracking those same partners on Impact Radius might only cost you $1,000 – $3,000 resulting in a significant cost savings. This allows you to then spend the savings on ad buys, hiring a good outsourced affiliate program manager, or put it back into profits. Strategy Tip: Take your top 10% of affiliate performers driving 90% of your profits and work with them directly through Impact Radius instead of the network. You’ll get better tracking and at a much lower cost. Impact Radius is generally 15-40% more accurate in affiliate tracking than other affiliate networks because of its unique tracking methodologies. It has the ability to cross check standard cookie tracking with “fingerprint” tracking which means sales are not lost when cookies are not set. For internet retailers, Impact Radius helps with coupon management as well. You can assign promo codes and set rules around them so coupon codes will stop getting credited to the wrong affiliates and people who should be credited for sales using an exclusive code regardless of the affiliate tracking link will get credited accordingly. Impact Radius coupon tracking also works in direct mail, social channels such as Facebook and Twitter and across any other touch point on or offline. Impact Radius shows the exact touch points associated with every sale, including every touch point within the affiliate marketing channels. For example, if Affiliate A is the first touch point, Affiliate B gets touched half way and Affiliate C closes the sale – you can model the media costs and sales revenues across all three partners so you get a more accurate representation of each partner’s contribution. This works across multiple channels and with every touch point, so you can assess the true cost of acquisition and which channel contributed the most value to the sale. By being able to determine your true CPA per touch point, you will be able to determine how and where to spend future marketing dollars for greater ROI. If you need an alternative to Ring Revenue for pay per call tracking, Impact Radius offers a tracking solution as well. If you’d like to use this within marketing channels where you are buying media, or within your own affiliate program, this will give you a complete integrated solution to track calls and sales from phone number tracking as well. What’s the bottom line? if you need a fully comprehensive tool that allows you to track your efforts more accurately for smarter marketing and higher ROI then Impact Radius is it. The conversation about who to attribute which sale to in the online world is an ongoing one. It’s extremely complex and there are an incredible amount of variables to consider, not to mention how to understand of the data once it’s properly collected. Not only do we need to consider different affiliates (especially if you run your program on multiple networks) but also which marketing channel actually contributed to the final sale. Do you reward an affiliate if it was your PPC ad that closed them? What if your email campaign or a facebook contest ultimately won the customer over, even if the affiliate was the reason they found out about you in the first place? How do you measure that? Do affiliates get the same amount of commission if two or three affiliates were involved in the sale? How do you split it up, since your margins are on the line? There are so many questions and even the most experienced people in the industry are still trying to figure out how to properly manage attribution. That being said, it’s at least important to understand what it is and some of the elements that impact it. Lisa Picarille of the Performance Marketers Association wrote a great 5 part series about it. Here are the links for quick reference. This in itself should be a reason to look into this and better understand it. Are you crediting the right channels and the right affiliates to your sales? If not, how can you measure the success of each touch point? How can you successfully attribute budget to the highest profit or highest converting channels for new customer acquisitions? By understanding attribution more clearly you will be able to make better decisions as to where you spend your advertising budget and learn which affiliates to focus your attention on. But being able to make decisions based on data rather than “gut feelings” your bottom line will be better protected and you will have opportunity to really grow profitable sales.